The Feeling of Jazz, Hr-2, Program No. 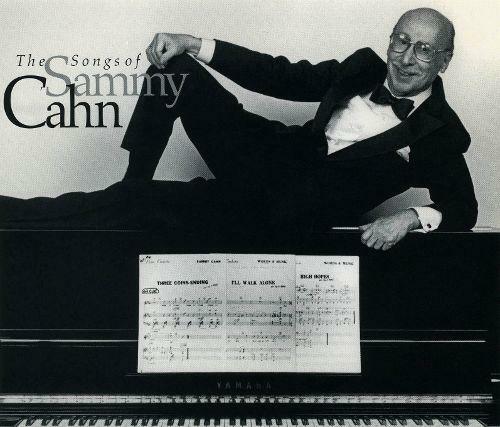 104 airing February 10, 2019 (a reprise from 11-04-2012) featured a spotlight on American lyricist, songwriter and musician Sammy Cahn. The Feeling of Jazz, program # 104 airing February 10, 2019 (a reprise from 11-04-2012) featured a spotlight on American lyricist, songwriter and musician Sammy Cahn (June 18, 1913 – January 15, 1993) in music presented by Kent Lindquist, while co-host Bill Satterlee featured artists like Shorty Rogers, Benny Carter, Hank Crawford and more. Engineered by Dave Woodworth. 1. Blues in the Night, Shorty Rogers, Swings, Johnny Mercer-Harold Arlen, 5:47 min.2. Pete Kelly's Blues, Cal Tjader, Black Orchid, Sammy Cahn, 3:48 min.3. Easy Money, Benny Carter with the American Jazz Orchestra, Central City Sketches, Benny Carter, 7:00 min.4. Until The Real Thing Comes Along, Coleman Hawkins, Soul, Sammy Cahn, 4:42 min.5. The Peeper, Hank Crawford, Spring Jazz, H. Crawford, 3:06 min.6. The Things We Did Last Summer, Bill Holman, West Coast Jazz in Hi Fi, Sammy Cahn, 4:37 min.7. Blues in the Closet, Ron Carter, Stardust, Oscar Pettiford, 4:51 min.8. Teach Me Tonight, Count Basie-Oscar Peterson, Sir, That's My Baby, Sammy Cahn, 3:37 min.9. I Remember You, Mark Nightingale, What I Wanted to Say, Johnny Mercer-Victor Schertzinger, 4:43 min.10. Whistle While You Work, Don Patterson, Steady Comin' At 'Ya, L. Morey-F. Churchill, 7:32 min.